Further opportunities for Adoration of the Blessed Sacrament are also available on First Fridays from 8:30 am – 1:00 pm. A sign up sheet is located in the back of Church. 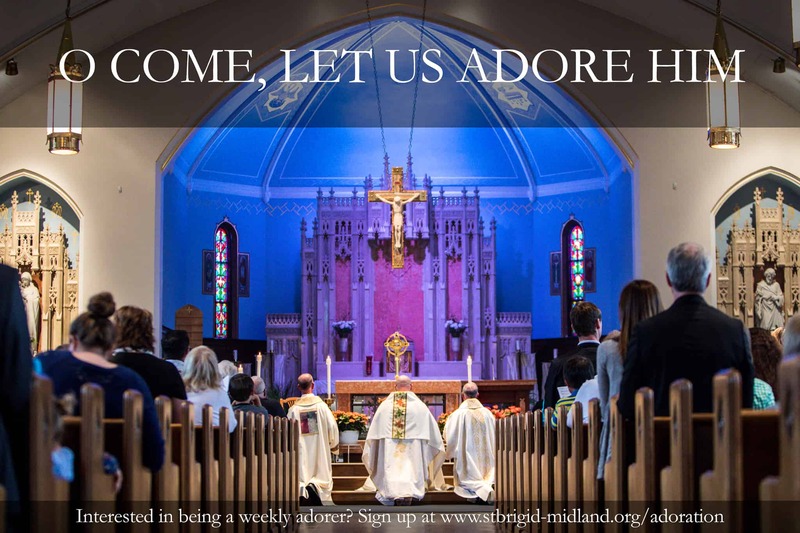 This form is for people to submit interest in being a weekly adorer for our Wednesday Eucharistic Exposition and Adoration. You will be individually contacted regarding your interest - this is not a binding submission. Please select all times that you are available and/or interested in being a weekly adorer. Note that this is a long term commitment; substitutes are available, but this time should be one that you are able to set aside every week unconditionally.